Waking up in an empty room is one of the hardest parts about losing a spouse. Likewise, the sound of silence in a home where a child’s laugh once filled the walls is an almost unbearable pain. While there is nothing that will ever fill the void in your heart or home, life must go on. Sometimes, this means making even further changes to the way you live. When your deceased loved one was your family’s primary source of income, you may have no choice but to relocate to a more affordable and manageable living situation. However, Grief and Sympathy, a UK-based website designed to help the bereaved cope with loss, cautions against being influenced by family and friends. ● Location – If you have children you will need to consider school zone and availability of parks, playgrounds and pediatric care. Policy Genius offers more great advice on moving with children. ● Layout – How much space you need and can maintain will play a huge part in the type of home you choose. Smaller homes and condominiums often have less available outdoor space and may not be designed for entertaining. However, smaller homes are easier to keep clean and cost less to upkeep. ● Amenities – As a single or single-parent, you may need to consider a home with security features such as a privacy fence or floodlights. Depending on your age and physical abilities, you may also seek out a new home with one story and a ground-level entryway. The process of relocating is symbolic of saying goodbye to the loved one lost. It does not mean that you will forget them or the home you shared only that you are ready to live your own life in your new circumstances. Before you list your current home on the market, take the time to go through your/their personal belongings and decide what to keep and what items don’t contribute to your present-day happiness. One way to cope that also helps you tackle practical matters is by donating your loved one’s belongings to an organization that will help carry on their memory. For example, if your spouse received hospice services, you may consider hosting a yard sale and donating proceeds to the Hospice Foundation of America. Change is hard but fresh scenery gives you a new landscape upon which to build the rest of your life. Moving a difficult and emotional process. However, when the memories are too painful or you are unable to afford your current home, it’s an opportunity to hit the reset button on your life. 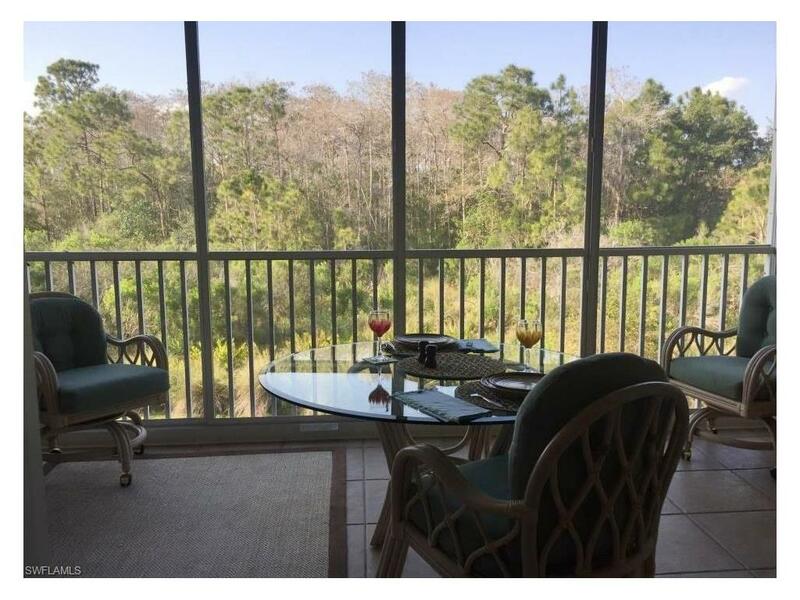 This gorgeous 3 bedroom, 2 bath condo is soooo close to the beach!! We love this home -- it is tastefully decorated with modern finishes. This home is located along the world famous Tamiami Trail, convenient to EVERYTHING that Southwest Florida has to offer. There is a shopping plaza directly across the street that offers everything from diverse dining options to a 24 hour fitness center. Ride your bike or take a short car ride to Barefoot Beach. Whether you are searching for an investment property or a place to call your Florida home, you can't go wrong with 2875 Trail's Edge! Call today for your private showing. 239-675-9464. The Dellatoré Real Estate Group recently listed this home, with gulf access, a community marina, and a gorgeous pool on an oversized lot. This home is in a perfect location, just off of West Terry Street in beautiful Bonita Springs. Quail Creek is close to everything -- restaurants, beaches, shopping, the downtown area, and the international airport! Completely updated with new cabinetry, granite counter-tops, tile flooring throughout and much more. What a value -- a THREE bedroom home with an open concept floor plan, attached garage, a huge lanai -- and GULF ACCESS!! Don't miss this opportunity as this home will surely sell FAST! Call Angela Lutzi at 239.675-9464 for your private showing before you miss the chance! Buyer's Perspective: Buy with Scott and Angela! Sandy and Tom purchased a home in Bonita Springs, Florida in the 500k price range. Their primary residence is located in Michigan where the winters are very cold. Of course, they love visiting their new Florida home, particularly during the winter months and truly enjoy the Southwest Florida experience! Sandy and Tom were referred to Scott and Angela by a family member and were thrilled with the ease of the transaction. They highly recommend working with Scott and Angela of the Dellatore Group when searching for a piece of paradise in Bonita Springs, Naples, Marco Island, or Fort Myers! Q: Is your Southwest Florida home your second home or your primary home? A: We’ve owned the home in Bay Point for about a year. Tom is currently working in Germany, so we’ve been unable to settle, but this home will be our second home to escape the Michigan winters. Q: What brought you to Southwest Florida? A: To get out of the cold! We looked all over Florida. We originally liked the East Coast because of the boardwalks, but realized that the Southwest Florida area was more laid back and had a mid-western feel. Also, there is a huge common network in Bonita Springs, Naples, and Fort Myers, since we’re in the auto industry. It doesn’t feel like we have to start over with friends and connections. Q: What excites you most about moving to Bonita Springs, Florida? A: The sun and enjoying winters. The restaurants are very nice in Bonita Springs and Naples is the next block over. It still feels like home (Michigan), but warmer. Our “new” home feels secluded, it’s on the water and we can watch the boats go by. After looking at Southwest Florida area, we wanted to live in Naples, but it’s very close and we got more for our money in Bonita Springs. We can even walk to the beach! Q: Was there a challenge or misconception you had before you made the decision to purchase in Bonita Springs, Florida? A: The biggest challenge was getting the home completely closed. It had nothing to do with Scott and Angela, but more the way banks operate and they needed us to get a mortgage even though we were paying cash for the home. It seemed that times changed from “everyone can get a mortgage to no-one can!” The process in full took from December to April. Again, nothing to do with Scott and Angela- we love them! Q: How did you find Scott and Angela? A: We were referred to them by a family member who had a great experience working with them, even from the opposite side of a transaction. Q: What were Scott and Angela’s strengths and how are they different from other realtors that you’ve worked with? A: They were different Angela found the perfect house right off the bat. We weren’t looking to buy right away as we knew we wouldn’t be able to settle immediately, but we knew we’d regret if we didn’t purchase the home when we did. Angela heard what we wanted in a Southwest Florida home and found it. It was amazing! Posted in Bonita Bay Homes For Sale, Bonita Isles, Buyer Stories, Buyer's Perspective, Ft. Myers Homes For Sale, Listings Sold by Scott & Angela, Reasons to Live In Southwest Florida, Scott & Angela "Sold" in Southwest Florida! Kay and Luann purchased a home in Bonita Springs, Florida in the $300-400k price range. They are beyond thrilled with the personal connection Scott and Angela had to offer, as well as the opportunity to own a home in beautiful, Southwest Florida! Be like Kay and Luann and don’t wait to purchase in Bonita Springs, Naples, Marco Island, or Fort Myers with the Dellatore Group | Scott and Angela. Q: Is your Southwest Florida home your second home or primary? A: Our new home will be our primary home. We are in the process of selling our home in New Jersey. Q: What brought you to Southwest Florida and why? A: The warm weather! Also, the conveniences of Miami’s cruise ports are only 2 hours away! We plan on living in paradise as well as traveling more often. We have an Italian Greyhound who will love the warmer weather, too. Luann’s mother passed recently and we have always been her primary caretakers. It is time for us to take a permanent vacation. Q: What are you most excited about moving to Bonita Springs, Florida? A: We are not fully settled in Bonita Spring quite yet, but we are excited about the area overall; close to Naples, the beach, cruise lines. It’s also an opportunity for us to “start over” and maintain a healthier lifestyle. Our new home is in a small neighborhood that is close to other amenities. There isn’t a biking path, but it does have a pool, gym, and a restaurant which we’re very excited about. A: Not really. We were confident in the area. A: Zillow or Trulia as Angela was listed as a Premier Realtor and covered Southwest Florida. We emailed her and took it from there. Scott and Angela made us feel really comfortable as they listened to our needs and found properties that met them. We developed a close relationship, quickly. We can’t say it enough that they were very personable. Texts, emails and phone calls were very responsive. They also took care of the settlement as we couldn’t be present for the closing. It was easy to be comfortable with them and trust them. Considering the idea of purchasing a second home? This idea has become become more popular lately, especially in the Southwest Florida area. Bonita Springs, Naples, and Fort Myers are all popular areas where people are purchasing homes for all kinds of reasons --recreation, vacation, development and retirement! Whether you’re buying a home because you want to live in paradise or for investment purposes, now is the perfect time to purchase a second home. According to the National Association of Realtors, the number one location to buy is the south. Property types such as single-family homes, townhomes, and condominiums are the most popular. Bonita Springs, Fort Myers, and Naples offer a beautiful opportunity to own a second or vacation home in paradise. Even if you’re not available for closing, Scott and Angela have plenty of experience working with out-of-state buyers. Contact the Dellatore Team | Scott and Angela, today! They will listen to your wants and needs in your home to find you the perfect fit. This is a gorgeous end unit condo, located in the exclusive community of Casa Marina in Fort Myers Beach. This home is a 2 bedroom, 2 bath end unit with western exposure. Extra large lanai, views from three sides, ovelooking the canal and pool. Gulf access, and a short walk to the beautiful Fort Myers beach. Fully updated with granite counter-tops, new kitchen cabinets and low fees. You can rent these units on a weekly basis, which makes this home a great investment! These units do not last long, only staying on the market a few days and this unit is EXCEPTIONAL as it was lovingly maintained -- and never used as a rental. More photosare on the way. 399,900! The last two units to sell were only on the market a few days so don't miss this one! It is a GEM! Angela Lutzi Will Find Your Dream Home in Southwest Florida! Click on this video to learn more about me, Florida, home buying and how to get a TON of real estate information regarding your dream home in Southwest Florida! Our latest and greatest listing is located in the gorgeous enclave of Hidden Lakes within the community of Spring Run at The Brooks! Call Angela Lutzi at 239-675-9464 for your private showing today. Imagine coffee or cocktails on this ultra private and expansive lanai. Open floor plan with vaulted ceilings -- lanai is part of the living space. There is a large master bedroom with its' own private bathroom and huge walk in closet. Split floor plan allows for plenty of privacy even when guests arrive. Ample kitchen space, dining area and spacious study make this Florida home your perfect winter retreat. And at this price? You can't go wrong! So close to Coconut Point Mall, Ft. Myers Airport, Miromar Outlets, Dining, Shopping and the Award Winning Barefoot Beach! Why freeze all winter when you could be playing golf and relaxing with friends at the Spring Run Golf Club? 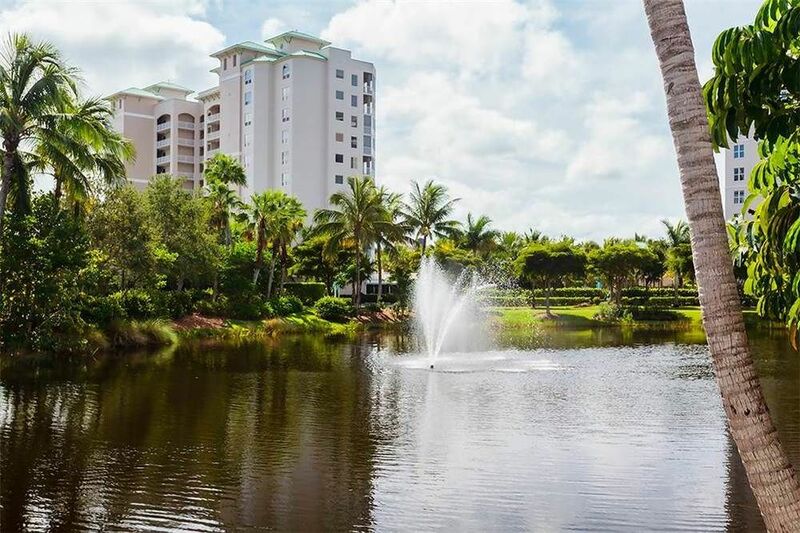 Come live the good life in Bonita Springs! Call Angela Lutzi at 239-675-9464 for your showing today! Scott & Angela "Sold" in Southwest Florida!